You are here: Home / Blenders & Appliances / Which Countertop Blender Should I Get? Countertop (or upright) blenders are a must-have piece of kitchen equipment that can perform a variety of jobs, from soup and smoothie making too quick sauces and nut butters. A high-performance blender can even complete similar operations as a juicer, which makes them a highly versatile tool. Whether you want a budget-friendly or high-spec blender, there are a variety of choices to match virtually any price range. A plastic or glass jar on an upright blender is usually narrow and angled near the base which means the blades are more effective at grinding and chopping the ingredients. Glass is more stable and heavy, while also being easy to clean. Also, countertop blenders are a more convenient option compared to the handheld units which need your constant attention. These blenders are split into two different categories: standard or high-performance. A standard blender is intended for regular use, while a high-performance and powerful unit is more expensive, durable, and versatile. The preferred blender will relate to what you intend to blend and frequency. A small single-serve blender is a fun and convenient option for making smoothies. Just pour the prepared ingredients into the jar, switch on, blend, lift off the cover, and the smoothie is ready to drink. Single-serve blenders are usually on-the-go choices and come with a travel mug. Most of these blenders are made to provide an individual serving size. Also, these single-serve appliances are quite versatile and a great choice for making a variety of frozen drinks and milkshakes. A standard blender is a practical choice for making smoothies, pureeing soup, emulsifying mayo, and blending cocktails. These budget-end appliances aren’t the best at whipping food, blending fibrous greens, or making the silky smooth smoothie. Most of the standard blenders are more compact and shorter than the high-end blender appliances, and usually stand 15.5 inches in height and 7-8 inches at the base. This style of blending is most used to make the occasional smoothie, a batch of margaritas, dips, or pureed soup one or two times per week. Also, the blended will leave the ingredient with a texture that is slightly chunky. 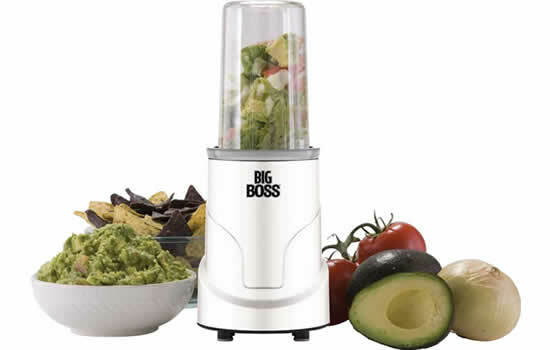 A high-end blender is taller (18-20 inches) but with a similar sized footprint (8-9 inches). A heavy-duty blender is a powerhouse at blending down a variety of ingredients, such as grinding nut butters, whipping cream, blending cocktails, pureeing soup, emulsifying mayo. However, this appliance isn’t the best for mashing potatoes or kneading dough. A high-performance blender is a practical choice for those wanting a durable appliance that can make a regular smoothie or similar for following up a healthy diet. These are high-end blenders that can even replace the standalone juicer because of its ability to liquefy kale or similar leafy vegetables. A well-maintained blender is certain to last for years with a regular cleaning session. Oster and Hamilton Beach manufacture about 40-45% of the market for countertop blenders. Other brand-name makers include Waring, Cuisinart, Proctor-Silex, Ninja, Krups, KitchenAid, GE, Breville, and Vita-Mix.